FairMail - Blog - Fall Clearance, over 50% discount on fair trade cards! Fall Clearance, over 50% discount on fair trade cards! We are getting ready for the busy Christmas season and need space in our storage to stock up the great new fair trade Christmas cards. 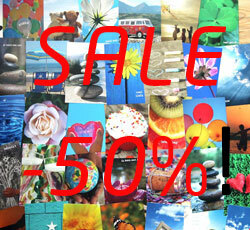 Lucky you, as this means up to 50% discount on over 90 different cards! A great opportunity to stock up on some cards for upcoming occasions, including Christmas.